Rick and Morty Season 3: The episode 9 will air on this coming Sunday. This particular segment will feature Rick and daughter Beth’s adventurous journey. It is titled ‘The ABCs of Beth’. Both will share adventures on the go. It will, basically, be a Rick and Beth’s escapade. The fans will get to watch it on Adult Swim (Cartoon Network). Her father doesn’t agree and explains to her that those are procedural generated clouds and points towards a river rainbow. The river is as colorful as a rainbow. Rick added that he has put real elbow grease into this place. “Dad makes the toilet look like r2d2 and it breaks the front page of Reddit, but I’m Charles Manson because I gave you your own world instead of an iPad,” he added. The next episode will be interesting to watch. In this season, we have seen Rick has been a part of a number of different adventures with different characters. In ep5, he went with Jerry onto an adventure which he was enjoying but Jerry wasn’t. The fans got to see that the father-in-law and son-in-law shares a toxic and hateful relationship. Probably, that’s the reason why did he enjoy Jerry’s misfortune. However, there are beliefs that their relationship was better before Rick returned to his daughter’s life. Now, it looks like Jerry and Beth will take a divorce. In the following segment ‘Rest and Ricklaxation,’ Rick enjoyed the terrible adventure and had fun with grandson, Morty. At a point of time, it looked like that they are about to die in the shark attacks’ encounter. He, himself, admitted that it was a pure luck they could survive. it’s because he hadn’t any control over the situation. Morty has been reluctant to join his grandfather in any adventure. But, he remains supportive as the grandpa doesn’t take ‘no’ for an answer. 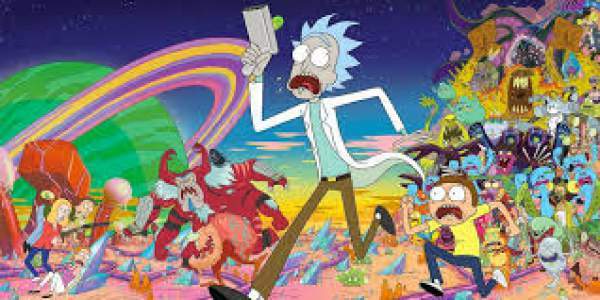 Rick and Morty season 3 episode 9 will air on September 24, 2017, at 11 pm ET on Adult Swim.